Bath time in our house is always crazy! It normally involves a good tantrum either from the kids or me and it’s always pure chaos. The trouble always starts with Miss One who won’t sit still in the bath, she wants to stand up and grows bored very easily, bathing her is like bathing a piglet! 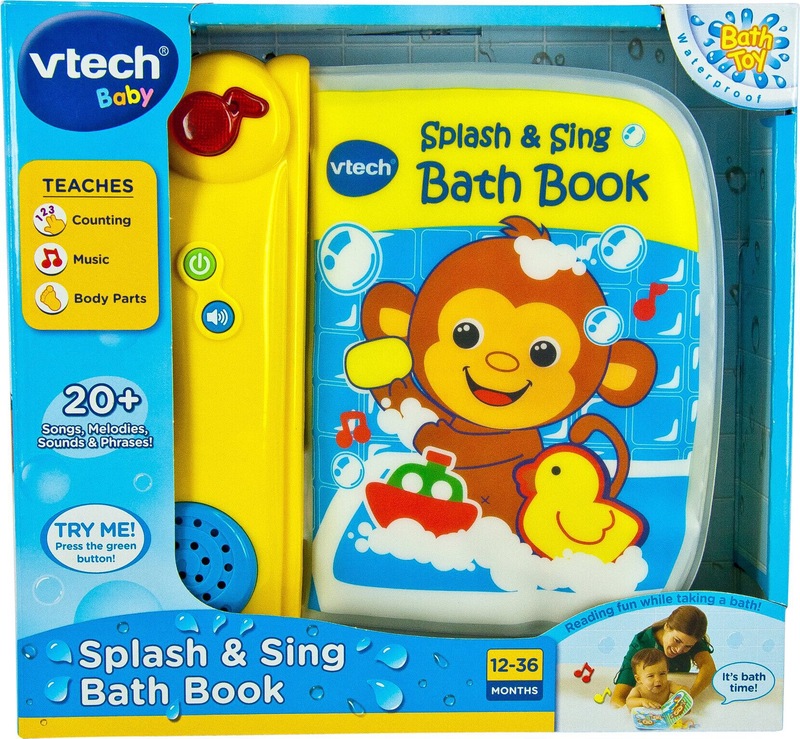 When my friends at VTech sent me their Splash & Sing Bath Book I was very very excited to see if it would keep Miss One happy during our dreaded bath time routine. 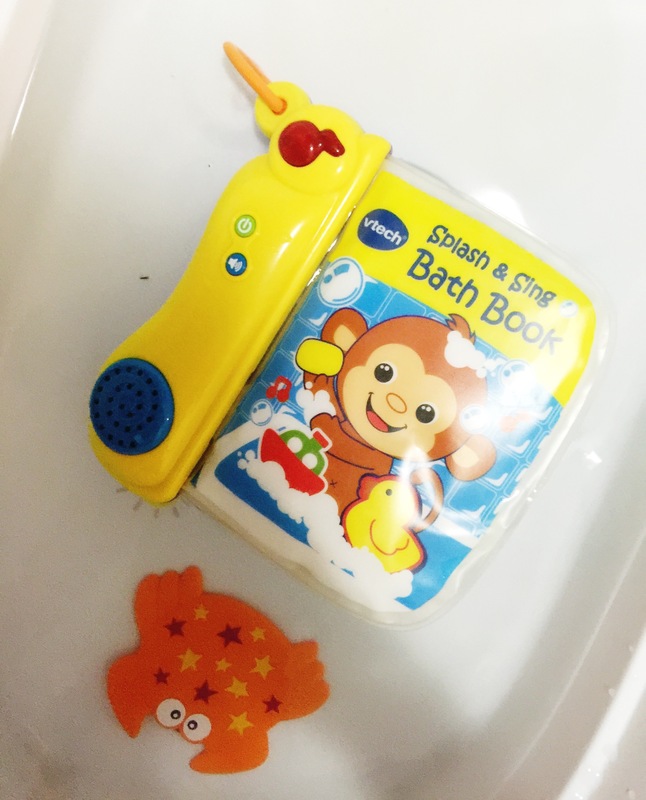 The Splash & Sing Bath Book, like all of VTech’s toys, is both educational and fun and the clever design instantly grabbed Miss One’s attention and she couldn’t believe her luck when she was allowed a book in the bath. She grabbed it with a Kung Fu grip and wouldn’t let it go. Within seconds she was pressing all the buttons and working out how her new bathtub friend worked. After 10 mins the water was cooling but Miss One was not budging, she was so enthralled with her new book and all the noises it made she wanted to stay put so she stayed for another 10 minutes. At this point the water was turning to ice and it was time to get our PJs on and get ready for bed. No crying, no whinging – Miss One was one happy chicken and piglet girl had left the building! The next night she actually wanted a bath and couldn’t wait to catch up on her reading as she bathed. 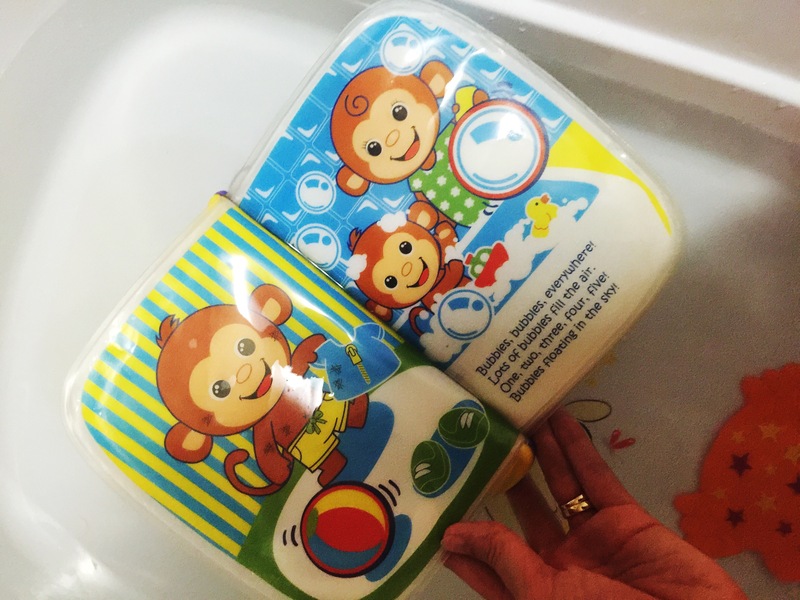 The Splash & Sing Bath Book is a great addition to our nightly bath time ritual and the fun songs and bright colours are so much fun for littles. The pages are easy to grip and the story is fun to read although not much of that happened in our home as Miss One enjoyed so much she would not allow me to touch it! Are you like me at bath time and ready for some fun to captivate your little person while you bath them? 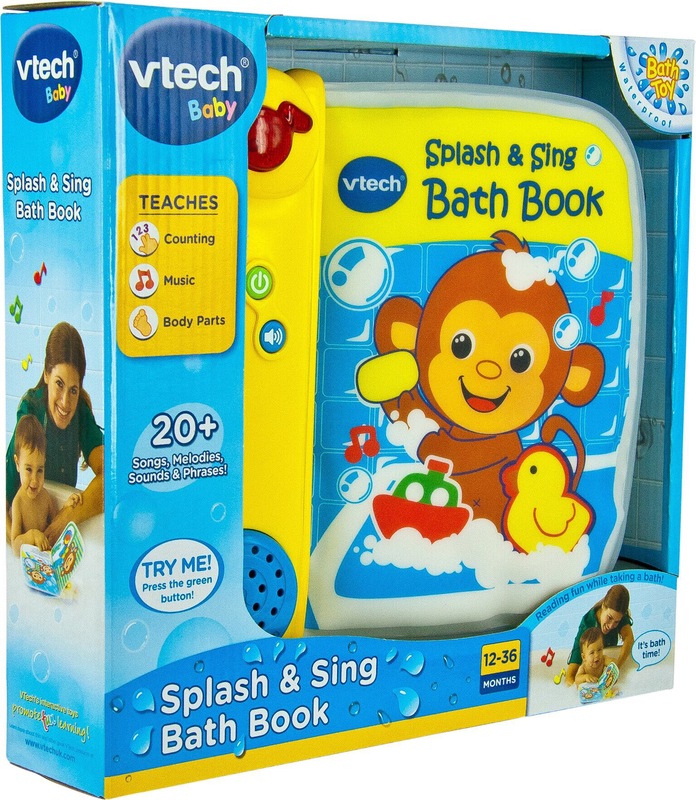 Our friends at VTech toys are giving one lucky person the chance to win their own Splash & Sing Bath Book. www.vtech.co.uk or checkout the news on Facebook @VTechANZ and Instagram @vtech_electronics_australia. The Splash & Sing Bath Book would be awesome to win for my little boy who loves to be in bathtub for hours and splash the water all over the floor. This fun book would be a great way for him to have fun while in bath & save me from lots of stress and cleaning up. Bath time + bubbles + A book singing Songs = happy child . My kids go nuts in the bath. I want down time before bed but they think it’s like a water park. Master 4 always runs in and slips ending in an icepack. I caught him sliding in on his knees after miss 2 soggy’d the place. They love book time so I’d love to give it a go. What an awesome Bath toy! My Master 3 would love this but is probably a little too old for it. Good luck everyone 😊 loved reading your review Mrs Tink.